Looking for a job is never an easy task, although at the current time, we all do have a lot more tools at our disposal than we once had – from innovative job boards to job search apps. Admittedly, technology is important in a job search, but so too are some pretty traditional elements. 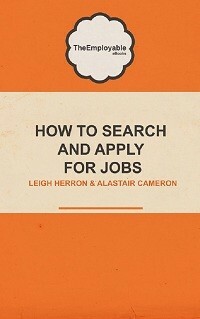 With that in mind, here are some Old School Job Search Tips that you ought to ignore at your peril! Many of you may think, you do this all the time – and you no doubt do. However, beyond your immediate friends and family, how many people do you meet who know that you are actively job seeking. Whilst we are not advocating that you stop strangers in the street and declare your job-seeking status, it would be worthwhile mentioning it in conversation with some of the people that you meet. Many jobs never get advertised yet vacancies are filled. How? Well, usually somebody knows somebody who is looking – they get referred for the position, interviewed and then all being well, hired. So, do bear this in mind when you meet someone. Casually adding it into a conversation that you are looking for employment may open a door that you never even knew existed. The newspaper may be being deemed as a dying resource due to declining sales, however it is still a frequently utilized tool by many organisations when they are recruiting. Don’t assume that every job that is out there is always advertised online. That is not always the case. Many companies, particularly smaller organisations use their local press to advertise vacancies rather than online job boards. Identify which days your local paper prints its’ job vacancies section and make sure that you buy it – or failing that, at least read a copy in your local library. Whilst social networks like LinkedIn of course play a major role in helping job seekers connect with others and can open employment opportunities, so too do real life networking events. Find out what events are being held near you – whether it’s a particular industry or chamber of commerce event open to all or something much more general in nature. If there is a public event where you are aware many of the attendees are likely to be local business people and employers, get yourself along. Be professional, make yourself presentable and network effectively and who knows who you could meet and what job opportunities may arise as a result. So many of us rely on the internet these days when job searching. We email our CVs and we upload them to job boards – all perfectly fine but perhaps lacking the personal approach. Applying for a speculative job vacancy by writing a well crafted cover letter and shock horror! posting it, may actually help you stand out much more as a potential candidate. Also, don’t simply assume that you can call an employer or recruiter in relation to a particular advertised position. If you have a good telephone manner, why not try calling them and seeing if they have any vacancies that may match your experience. Admittedly this is a ‘sales’ call and not everyone will feel comfortable doing this. However, this in essence is exactly what a recruitment consultant will be doing on your behalf. If you’re confident and competent enough, why not try doing it yourself. 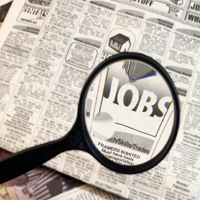 We hope these old school job search tips prove to be useful. If there are others that you feel we ought to have included, why not let us know via the comments section below.